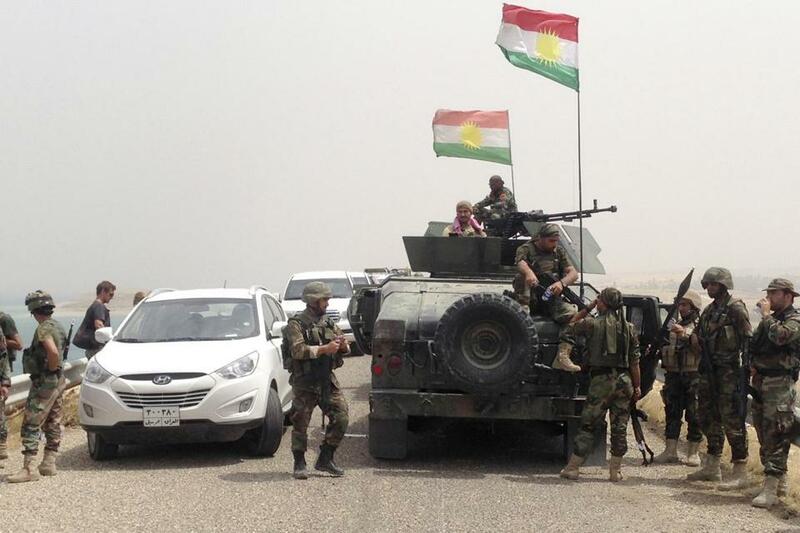 Kurdish fighters stood guard last week at the Mosul Dam in northern Iraq. The Obama administration, which has been dogged by foreign policy failures, claimed some rare successes this month. With US air support, Kurdish and Iraqi fighters were able to wrest control of the strategically important Mosul Dam from the militant Islamic State. Meanwhile, intensive US diplomacy, together with Iranian pressure and a shift in the tide of Iraqi popular opinion, forced Iraqi Prime Minister Nouri al-Maliki to step down. After years of insisting that the United States was incapable of affecting change in the tumultuous Iraqi political scene, the Obama foreign policy team is proving itself wrong. Had the Obama administration proactively engaged with the crises in Iraq and Syria several years ago, the world might have been spared the ferocity of the Islamic State. Nonetheless, it is essential that the United States now build on its success by working with its international partners, the new Iraqi government, and the Kurdish regional government, to confront and destroy the Islamic State in Iraq. The Islamic State is an enemy that has no international support, and the United States is uniquely able to build an international coalition that can support the Iraqi government in its efforts to beat back the militants, reclaim Iraqi territory, and rescue the populations that are trapped under Islamic State rule. But combating ideologically motivated extremism is a delicate task; if done badly, it risks bolstering rather than defeating the militant cause. US military engagement in Iraq must be conducted alongside a sophisticated strategy to win back the support of those Iraqis who still view the Iraqi government as a greater threat than Islamic State militants. In the post-Saddam Hussein era, the major challenge facing successive Iraqi governments has been the integration of the Sunni community. Courting the same communities that made the Sons of Iraq, the US military-sponsored security alliance of Sunni sheiks, a success will be critical. The United States must help Iraq’s new government reach out to all but the most hardline of the violent actors involved in this insurgency and offer them a path to political participation. Iraq’s politicians must also be persuaded that a willingness to devolve power to federal regions in Western Iraq is essential to winning back control of those territories. But supporting political reconciliation in Baghdad is not enough. US Central Command should assemble a task force led by a three-star officer familiar with special operations and intelligence. Its sole task: taking the fight against the Islamic State across Syria and Iraq. The United States should move aggressively to match the Islamic State’s operational tempo, agility, and resourcefulness. By establishing nimble, adaptable refueling and logistical solutions in strategic locations throughout Iraq, and across the border in Syria, the United States can effectively target the Islamic State’s rudimentary logistical lines. Kurdish forces should be fully supported as the most effective troops on the ground, and provided with Javelin anti-tank missiles, armored personnel carriers, and night vision equipment. And it is critical that the United States eschew the ineffectual drone-centric strategy used in Yemen and Pakistan in favor of a manned air campaign that can cripple the Islamic State’s lines of communication, resupply, and wider logistical network. Throughout our air campaigns, it is crucial to pinpoint the location of each individual Islamic State camp and safe-house down to within a few feet to avoid inflicting civilian casualties that risk alienating the local populations whose cooperation will be vital to our success. Fighting the Islamic State in Iraq is a no-brainer. However, without also dismantling the Islamic State in Syria, the group will continue to pose a grave security threat to the United States. But fighting the militant group in Syria must not mean offering de facto support for the Bashar Assad regime. A misleading binary choice between the Assad regime and the Islamic State has come to dominate narratives of the Syrian conflict but, far from being the lesser of two evils, the Assad regime facilitated the emergence of the Islamic State. The appalling mass murders of innocent civilians in Syria has been a great radicalizing force that has reverberated around the Muslim world and has motivated a new generation of radical militants. Doubling down on Assad will not defeat Islamist militancy, it will fuel it. The latest developments in Iraq have demonstrated that intensive and forceful political engagement in crises overseas can lead to progress. The Obama administration must now finish the job by building international momentum to confront and defeat the Islamic State in Iraq, while at the same time supporting the creation of an inclusive new government Iraqi government that can address the political grievances at the heart of this conflict. Nussaibah Younis is a senior research associate at the Project on Middle East United States. Robert Caruso served in the office of the secretary of defense, the US Navy, and the state department.